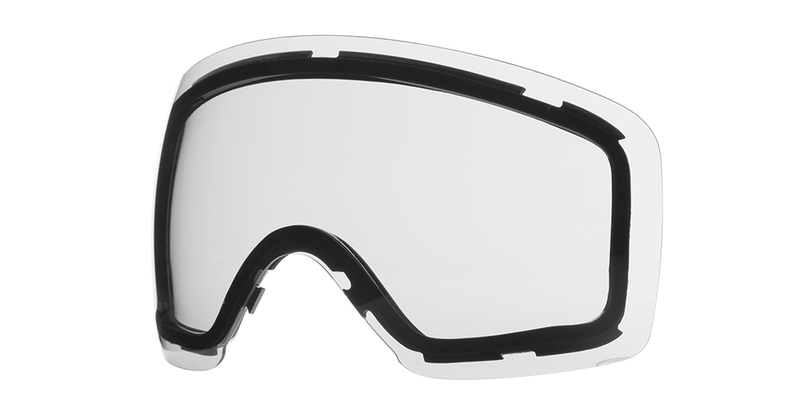 Smith Skyline Clear lens option is a must have in your quiver of lenses for your premium Smith Skyline Goggles. This is your weapon of choice for less then optimal lighting conditions to improve your depth perception & optical clarity in low light, snowy & night conditions! Go ahead and make a great day even better with Smith Skyline Clear lens from Action Sport Optics, they will not disappoint! Compatible with all Smith Skyline frames and easily interchangeable. Smith Clear Lens information: Smith Goggles provide the most technically advanced lenses in the world that protect you from harmful UVA-UVB-UVC rays. The Smith Skyline Clear lens are a spherical interchangeable lens that swaps out quickly & easily. The TLT ( Tapered Lens Technology ) lens technology provides perfect vision in all conditions by straightening out the in coming light rays by tapering them from the center out to your peripheral view providing 100% clarity & accuracy. The Hydrophobic lens coating Smith Optics uses is a durable bonded coating that reduces smudges & increase scratch resistance. Smith clear lens have set the standard with their Carbonic-X Lens which meets ANSI Z80.3 lens quality standards, there simply is no better lens available. Lens To Frame Compatibility: Smith Clear lens for the Skyline are compatible with all Smith Skyline frames regardless of year. Skyline Clear Lens VLT Information: Smith Clear Lens has a 84% VLT, the most light is let through this lens to improve depth perception and clarity in low light , snowy & night conditions.